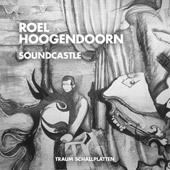 Born in the small town Badhoevedorp, located just outside of Amsterdam, Roel came in touch with Traum in 2007 when he remixed Minilogue’s "The Leopard". 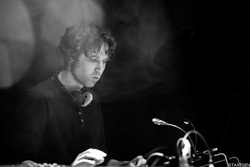 He has recently done a remix for Ryan Davis & Electric Rescue on Traum and a compilation track on "Tour De Traum V" which put him on the map as a skilful and serious recordings artist writing unique music. Roel also gave his debut on the Traum label night in Groningen's Grand Theatre together with Max Cooper, Mononoid and Ryan Davis in February. We are happy Roel has now written 4 new tracks for Traum which show his potential to compose music which connects skilfully themes often antagonistic to create one whole piece of art. Roel’s music is daring, organic and crispy as a Durum flake, full stop. Roel’s EP starts with the track "Crimson", a nicely distorted and euphoric Francophile flavoured melody that is carried by unrelenting rhythms that create a rush through various emotional stages of his. In fact it is very much an epic symphony for the senses, a journey through a garden full of flowers... playful and at the same time moody and last but not least something deeply personal and idiosyncratic. Witness Roel’s sound design his ear catching leads garnished with arrangement nuances that sparkle and shimmer like a glass of champagne. Saying that the track is already over and "Game Over" starts. A haunting sequence meets, small noise cascades and and sees an electrifying bassline take the lead in an exiting track to unfold. Wait a minute and you can hear a mesmerizing synth being dropped from out of the deepest corners of his soul. Roel twists sequences like Nathan Fake at his best and makes this track a big feast for the senses which you don't want to end. The remix of "Game Over" by Mononoid and puts them on the map for electronic music again in a big way. Mononoid have created a separate track out of the samples resulting in a highly hypnotic piece of deep melodic techno entirely suited to the peak time dance floor. Mononoid have become masters in their own genre and this heady groove of theirs continues to roll and evolve right until the lights go out. "Next To The Neon Light" is no homage to Kraftwerk but a shiny piece of a broken beat epic, melodic, uplifting tune that at times wraps one in a cloak melancholy. This track has such a strong and sonic feeling that it makes your your skin crawl. "Sugar Rush" shows Roel’s other side, letting orchestral sounds collide with sequential tones foreshadowing a "mad world" full of traffic where there is still a place for lush melodies and peace. This track will pull you from your seats and have you throw your arms in the air.